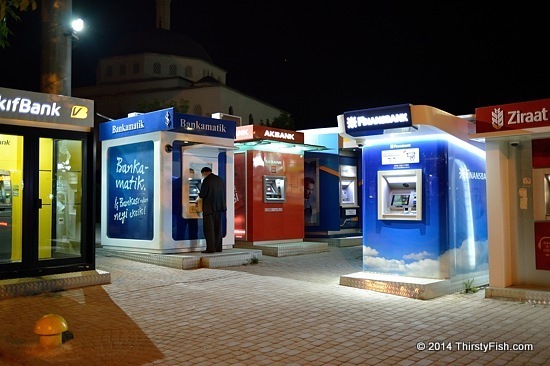 Around most shopping centers in Turkey you can see these standalone ATM's, but this particular place in had about eight of them lined up. Turks, like the citizens of most other developed and developing nations, are up to their necks in credit card debt. The credit trap is alive and well. Turkish Banks are now part of the global banking system - hence it's the same old tricks at work. Turks, who for the most part avoided the 2008 financial crisis, are sure to suffer similar consequences in the near future.